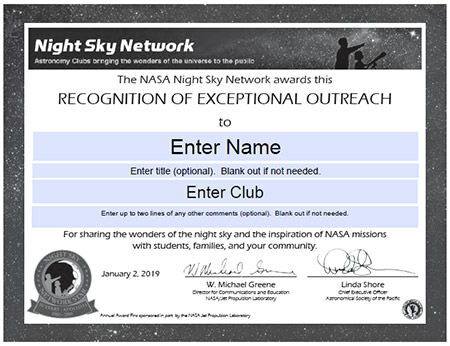 Reward your club's members for all of their hard work during 2018 with these special award certificates! 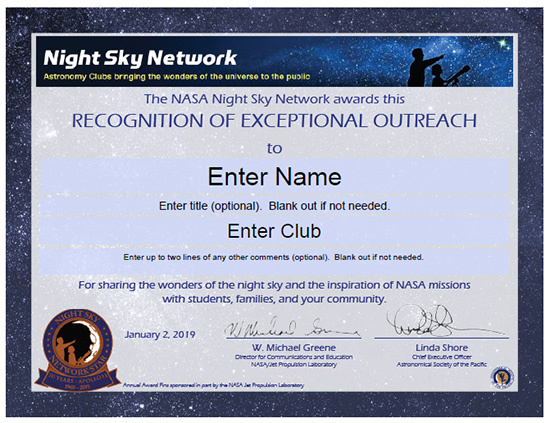 These printable certificates can be customized with the names of your club and volunteers, along with short descriptive text.Pair these up with the new Award Pins at an award ceremony or special event! We recommend saving your preferred version of the certificate to your computer and opening it with the free Adobe Acrobat Reader. We recommend using the official Adobe reader when customizing and printing these certificates, as one may encounter issues using a web browser or built-in PDF viewing software such as un-editable form fields, missing display elements, and lower-quality printing in general. You can download high-quality, printable PDFs at the links below. 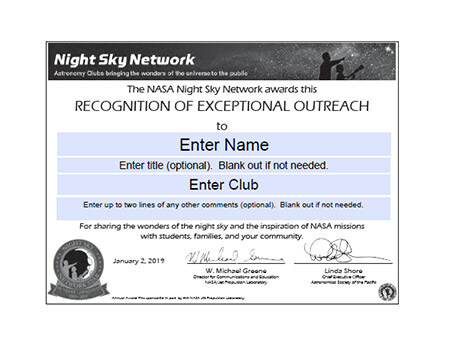 Three versions of the certificate are available: color, black and white, and borderless.